From being an also-ran in the TV operating system space, Google’s Android TV could be set to sweep all before it, following the introduction of the service provider-friendly Operator Tier. Stuart Thomson reports. There are many reasons to believe that rumours of the death of TV are greatly exaggerated. One such reason is that global technology giants such as Google and Apple have long coveted TV as an untapped market and have made a number of attempts to gain a foothold in it, both in services and in technology to enable those services. For Google, which has made a number of attempts to position Android TV as an entry point into the TV service provider market with limited success, the last year has seen a major breakthrough. Its technology has made phenomenal progress as the platform of choice for service providers. The trigger was the introduction of the Android TV Operator Tier, which finally laid to rest many of the fears and concerns operators had about getting up close and personal with Google. The introduction of the Operator Tier gave life to Google’s strategy of trying to penetrate the service provider market, something that its previous efforts had largely failed to achieve. Hitherto, operators had the choice of surrendering their independence by adopting Google’s TV platform wholesale – effectively giving the tech giant control of their customer data as well as the look and feel of their service and reducing their own presence to that of an app on Google’s service – or by opting for the Android Open Source Project, the initiative whereby Google made most – but not all – of the elements of the Android source code available royalty-free to third parties to develop their own proprietary devices and services. Adopting Android TV meant giving Google complete control of customer data and having the final word over the line-up of channels as well as taking charge of search results. Having failed to make much headway with this less than enticing prospect, Google undertook a rethink and ultimately came up with the Android TV Operator Tier. The main staging post was enabling custom launchers that gave operators control of their own user interface. 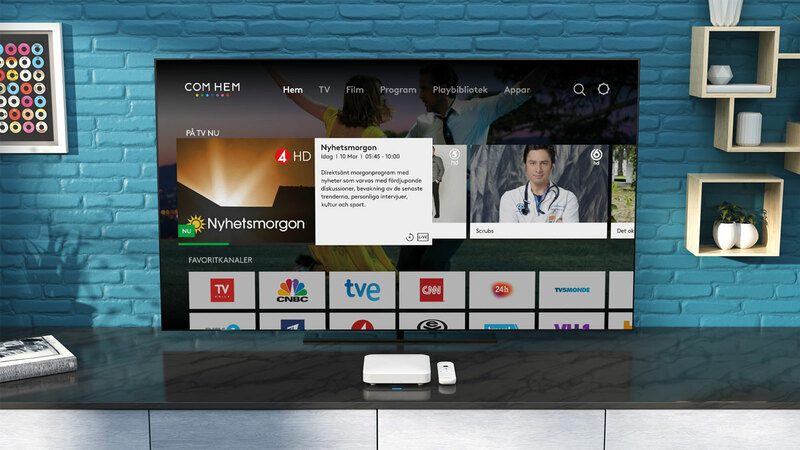 Canal Digital in Norway was among the first operators to build its own custom launcher for the platform, ultimately transitioning to the full-fledged Operator Tier along with fellow Swedish service provider and leading cable operator Com Hem. Whereas previously operators’ services would simply be one app among many, with the Operator Tier they can control the experience from the home screen. Android TV has a strong appeal for operators for two key reasons. The primary one is that it opens out an almost infinite array of services for the operator to offer to its customers. The second is that Android TV provides a platform with the scale to deliver highly affordable set-tops and a big potential base of app developers to create new applications and services. 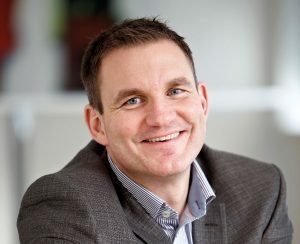 Com Hem chief technology officer Thomas Helbo says that changing consumer behaviour was the key reason the cable operator decided to adopt Android TV, along with the flexibility and fast time to market that the platform enables. While set-top upgrades in the past often took up to two or three years, operators are being faced with demands for more advanced services from customers used to seeing rapid changes in the user-experience associated with Netflix and other OTT companies. “We see ourselves as content aggregators,” says Helbo, who adds that speed of development was another factor in leading it towards Android TV. A third element, says Helbo, is “reputation”. Cable operators are increasingly seen as somewhat old-fashioned incumbent players and Com Hem had an ambition to shed this perception. The Swedish operator also provides services over multiple networks – not just HFC cable – and adopting Android TV accommodated that. “We needed something that could accommodate all the different platforms – cable, digital-terrestrial and multicast IP over open fibre networks – that we operate on,” says Helbo. “Then you also have the growing attractiveness of OTT.” He says that the operator needed “a Swiss knife” in the shape of a set-top that can cover all bases and handle the transition to non-linear, web-based content. Helbo (left) says that Com Hem looked at multiple options before taking a decision. These included relying on a major turnkey technology provider, which offered a great degree of stability and in-depth knowledge of TV. However, for relatively small players, it is often difficult to command attention to meet the needs of local regulations and other requirements. The second option was RDK, the cable-centric initiative to create an open source platform for operators on which service provider-specific implementations can be built. However, the platform requires operators to have signfiicant resources to accelerate the development of the complete user experience. With Android TV Operator Tier, on the other hand, “you get the flexibility of integrating broadcast TV with all of the OTT TV services you need”, he says. Operators like this, says Helbo, because they get “all the flexibility from integrating broadcast TV with OTT services and they see this as attractive because it is the closest they get to a standardised platform”’. The introduction of the Operator Tier has gone a long way to mitigate service providers’ fears about Google by giving operators access to a customised user interface, which has always been key for operators’ brands, says Helbo. “The Operator Tier gives you a customised UI and that has always been the strength of operators,” he says. Helbo admits that being tied to Google may carry some risk, but points out that operators always have the option of replacing it at some point in the future if the tech giant’s policies change. In any case, he says, Google has shown itself keen to “make it a success for both parties” and is continuing to move in more operator-friendly direction rather than the opposite. By contrast, he says, the old Android Open Source Project was a more-or-less closed-off environment that did not offer support for next-generation technologies such as Google Assistant and future smart home functionality. Confidence that Google will not change its policies in a way that alienates operators is broadly shared. 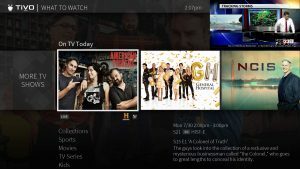 TiVo’s Thun says that it is still the case with Android TV Operator Tier that “the operators don’t control the rule-book any more”, unlike in the Linux world. It is possible that Google could change its priorities in the future. However, he says, Google is unlikely to do something that is against operators’ interests because the tech giant wants a big slice of this pie and doesn’t see it as in its interests to alienate a rapidly growing customer base. Moreover, the likes of Com Hem’s comfort with the platform signifies that its appeal is not limited to IPTV providers. Cable operators, traditionally more inclined to build something bespoke with the aid of trusted partners, are now also looking to Android TV as a solution, according to Seachange’s Nagarajan. “There was reluctance in the cable space to ‘look like everyone else’ but the Operator Tier has unlocked this market. Operators can control the experience with the benefit that their customers can do cross-platform searches and so on,” he says. There is broad consensus that the biggest element in the appeal of Android TV to operators is that it opens up quick and easy access to a vast array of OTT TV services via the Google Play store. 3Screen TV’s Borchers agrees. “We see that cable and IPTV customers want more than just TV. They want linear TV, video-on-demand and DVR but the main thing [they want] is integration of third-party services like Netflix and Amazon,” he says. With the Operator Tier, service providers have immediate access to the Google Play store, giving access to a wide range of popular OTT TV services. Adopting the platform means that Netflix comes already integrated, something that can take additional work with alternative platforms such as RDK or the Android Open Source Project. The other key advantage provided by the Android TV Operator Tier platform is that provides what technology providers describe as the closest the industry has achieved to a standardised set-top environment. Borchers says that Android TV now has the support of around 40 operators including those in the pipeline to deploy it – not all of whom are Operator Tier adopters – compared with about 13 for its main rival, the cable-centric RDK. While many of the Android adopters are relatively small compared with, say, Liberty Global, the likely growth trajectory of these and other entrants will be “very hard to compete with”, says Borchers. That standardised environment includes the power of Google search and recommendation, enabling users to search across different content silos, according to Borchers, who adds that the introduction of the Operator Tier has enabled service providers to ensure that their own content is prioritised in search results. The Android TV environment also enables operators to tap into the deep well of Android developers, rather than finding developers who can work with platforms with smaller footprint. “Even Android developers are hard to find because it is a high-demand market,” says Borchers. 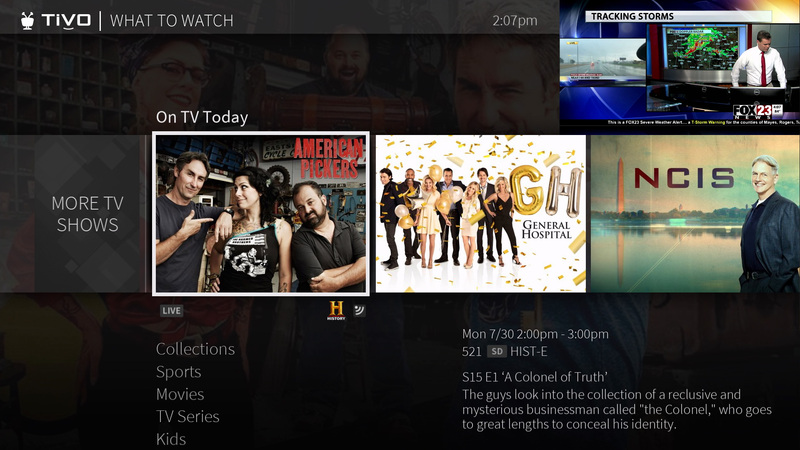 TiVo’s Thun meanwhile highlights the ease of integration of the platform, pointing to the amount of work that needs to be done to build a service on Linux set-top boxes. By comparison with Android TV, platforms such as the cable-centric RDK require possibly a greater effort on the part of operators. Seachange’s Nagarajan adds that large cable operators are more likely to be reluctant to offer a product provided by Google and more likely to want to fully control the user experience. However, while those players have the engineering resources in house to look to RDK or another solution, smaller players lack that luxury. They are more likely to find Android TV, which gives them voice-enabled search and recommendation as part of the package, for example, attractive. For Smith-Chaigneau, the key advantage of opting for Android TV is less to do with the uniqueness of the technology, but about the Google ecosystem and what it can bring for operators. The scale provided by Google has driven down the cost of sophisticated high-specification set-top boxes, he adds. “It has driven down the price significantly and for that you you get the high-powered set-top that Android TV needs,” he says. There is now a homogenous set-top platform available supported by a wide array of suppliers, something that is relatively new to a market where set-top suppliers in the past typically focused on the platforms that were popular at a particular time. TiVo’s Thun agrees that the cost of set-top boxes is a key factor in calculating the merits of Android TV. “It gives you standardisation of the set-top requirements that drives the box cost down from about US$200 to about US$50-70. While the industry has seen that price point before, what we are talking about here is a full-powered set-top that can support all the streaming services out there,” he says. The Android TV ecosystem includes chipset, middleware and front-end user experience providers. The middleware needs to work with the specific box chipsets and there are different types of chipsets for hybrid boxes that include tuners for broadcast channels as well as IP. A number of chipset providers are in the queue to be certified by Google. Among box manufacturers, Technicolor currently has the lion’s share of the market, with Asian manufacturers trying to catch up. Software provider 3Screen Solutions has provided the reference implementation of the platform through its 3Ready platform, and Borchers says that Google has asked his company to deliver more integrations with set-top middleware providers. 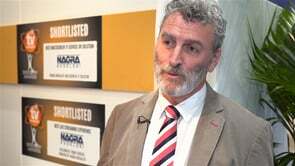 Borchers sees relatively little risk for operators. He points out that, in the past, service providers feared being too closely aligned with single set-top suppliers and an eight-year lifecycle for a particular generation of box. That equation has not fundamentally changed in the case of Android TV, he says. Borchers goes to far as to argue that Android TV could effectively take poll position in the cable market as well as among telecom operators, pointing to the example of Com Hem, which has been among the pioneers of Android TV Operator Tier. Android TV Operator Tier is also able to support hybrid deployments, combining legacy broadcast technology with streaming. Seachange’s Rozycki says that Google “did not have a clear policy about hybrid”, which has largely been left to software and hardware vendors. In addition to supporting the use of traditional broadcast infrastructure to deliver linear services, he says that there is potentially a significant market among operators with large populations of legacy devices in the field that they do want to swap out. Will Android TV sweep all before it thanks to the momentum behind the Android TV Operator Tier? 3Screen Solutions’ Borchers goes so far as to say that his company has seen the market for Linux set-tops “completely dry up” and that he has encountered “no requests for Linux boxes” for the best part of a year. However, others make the case that Android’s popularity does not mean that it will be the only game in town. 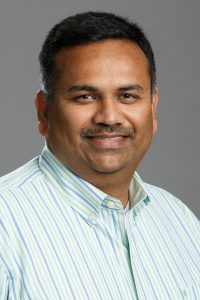 TiVo’s Thun argues that “innovation in this industry takes time” and that Linux-based platforms are not going to “disappear overnight” because of the “very large historical investment” that operators have made. For some observers, the most significant rival platform is not one of the existing middleware providers or the RDK platform, or another global tech giant entering the market, but the ‘bring your own device’ strategy looked at by a number of operators that are happy to distribute their services via an app on a third-party device, at least to the growing device-savvy Millennial market. The appeal of this approach can be seen in decisions by Swiss operator Sunrise and France’s Canal+ to supply Apple TV to their customers. TiVo’s Thun adds a note of caution, arguing that Android TV is really “in the middle of the spectrum” between Linux-based platform and the BYOD world, which he characterises as being at a relatively early stage of development. “There is a wide variety of things that operators need to be comfortable with before that becomes widespread,” he says. One of the main opportunities for software providers catering to the Android TV market now is to enable a seamless multiscreen experience, says Thun, who sees a role for his company as an enabler of a seamless user experience across multiple dimensions, including Android TV on the set-top, iOS in mobile and so on. “You don’t want five different user experiences across those different devices,” he says. For operators including Sweden’s Com Hem, meanwhile, integration of Google Assistant and smart home functionality in general is on the horizon. Helbo says that integration of Google Assistant, which has only just been launched in Sweden, “is definitely on the roadmap” along with smart home functionality more generally.